“Will interest anyone who’s curious about the plain lifestyle,” said Publishers Weekly. I’ve always found the Amish and their lifestyle fascinating. 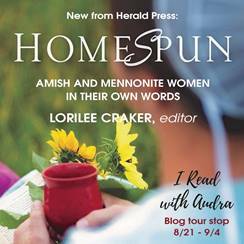 So I requested “Homespun” to review (thanks, Audra Jennings PR). It’s a collection of short essays by Amish and Mennonite women. Do you enjoy reading about the Amish? Is there a book by or about someone Amish that you would recommend? The author has given us a group of writings, that felt like I was receiving letters from friends. Some are going to make you wish to have tissues handy, and others had me laughing out loud, wait till you read about the fussy son who wanted something green in his lunch and the mom put only a head of lettuce in the next day, loved it! Trying to read just one and then go do something, it didn’t work, I felt like I was reading about friends. There is a great deal of faith shared here, and felt uplifted and wanted more even after I read the last one offered. I received this book from the Publisher Herald Press and Audra Reads, and was not required to give a positive review. Everyone loves Toby Gibson. 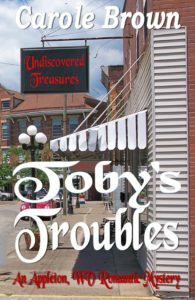 A co-owner of Undiscovered Treasures, a unique shop of antiques, collectables and junk, Toby is friendly, generous to a fault, the director of the local plays in Appleton and supports his church’s youth functions. But the minute his sister, Caroline and her new husband, take off for their honeymoon, a “ghost” begins to haunt the shop—or maybe it’s just an intruder. If so, Toby has no idea for what he is looking. To add to his troubles, he suspects Amy, not only is bidding for the property he’s wanted forever, but is in love with him. And he’s not interested. Amy Sanderson who owns the only flower shop in Appleton—Bloomin’ Life—is drawn into capturing Toby’s “ghost” when her own business is damaged by a destructive intruder. Having loved Toby from childhood, she’s more than willing to join forces with him. But she has no interest in being his best friend or like a sister to him. And if she has to resort to schemes of outbidding him at his frequent auction attendences to get his attention, then so be it. She can be just as stubborn as the man who’s determined to ignore her love. I knew when I wrote this book who Toby was. But capturing Toby’s personality and presenting it in the right way, was a challenge for me. Readers can see his teasing, fun-loving character when he labels the person who’s breaking into his shop as a ghost. But Toby is also serious, smart and successful. The side of him who has had plenty of girl friends, but who’s never gotten serious with any of them, is prominent too. But I didn’t want him to seem frivolous and uncaring, because he isn’t that. 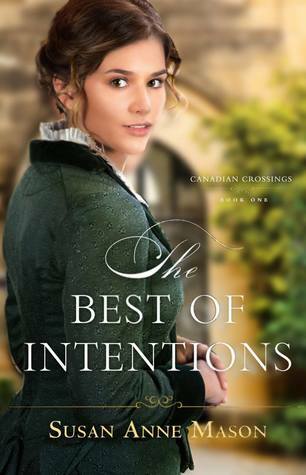 With a focus on his interests, love has never—as of yet—been a primary concern, so when Amy Sanderson strolls into his life, she turns out to be his confidant in the time of his troubles. The question is: can she not only have a place in his life as a best friend, but also capture his heart? Who doesn’t love a place filled with valuable items, interesting history, and hard-to-find items? Undiscovered Treasures—a shop of antiques, collectibles and junk—could be described as the town gathering place. Everyone loves browsing there. Deciding on such a place for the business of brother and sister, Toby and Caroline Gibson, was a fun choice. From grandfather clocks to unique shaped vases, it’s a shop where treasure hunters could just find what they’re looking for. There are way too many new people visiting Appleton, West Virginia, so how is someone like Toby suppose to guess what the thief is after? The thief definitely knows what he’s looking for, just not where. He’s tall, thin and a fast runner, especially when escaping across a rooftop. But then, maybe it’s not a new person in town. Maybe the thief is Toby’s part time help, who has a mystery all of his own. It makes things interesting, and a bit terrifying for everyone. One of Toby’s loves is directing and overseeing the community theater. Caroline Gibson writes some of the plays, the actors are usually taken from the West Virginia area, and all proceeds go to charities. But when their main actors, of the current play, elope and leave the play desolate, someone has to step in to fill the gaps. Toby struggles with decisions he doesn’t want to make. Toby is smart, funny, and a resourseful man. He’s also busy with his community theater activities and his business. Known as the one man in town who’s not interested, at the current time, in getting married, his reputation of loving and leaving is in danger of being wrecked by one small woman. Can she sabotage his well-laid plans and help him realize it’s now or never? Could it be the time when real love is captured by two people, even when one of them seems doomed to ignore what God’s put in their hearts? 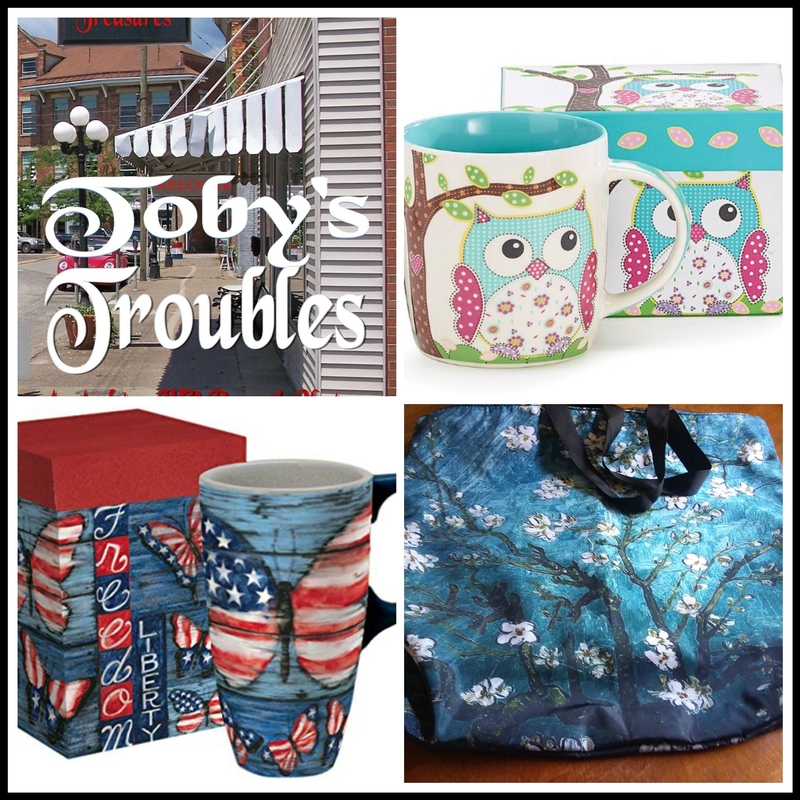 To celebrate her tour, Carole is giving away a grand prize that includes winner’s choice of one of the two attached mugs, winner’s choice of a print or kindle copy of Toby’s Troubles and a tote bag!! This is a sweet love story and a big mystery, with break-ins, theft, mystery people, kidnapping, a lot of action. What is going on in this small town? He owns an Antique Shop, and she owns a flower shop, she is crazy in love with him, and he thinks of her as a sister, really? 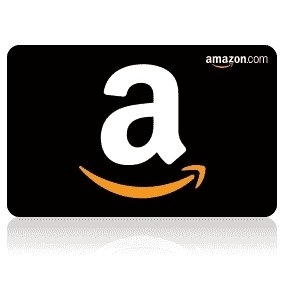 With non-stop action, someone wants something they have, or do they, and they are not sure which one of them has what? We ponder this as we read this page-turner, and what is going on, who is stealing and destroying things? Yes, the answers will come, but it takes a while, and you want the answers right! Keep turning, they are here, and you will love the story the author has given us. Enjoy! Malinda Stauffer is happy that her gut frienden Phoebe Yoder may soon be married. Of course, Malinda can't help wondering about her own future. She hopes someday to find the same contentment as a wife and mother that she has helping her own mamm care for Malinda's father and five brothers. But a challenging health issue has her convinced no man wants the burden of a fraa who needs rest when there are farms to tend and businesses to run. Adding to her stress is the unwanted attention of an aggressive big city doctor smitten by her--an unsettling distraction she has kept to herself. Timothy Brenneman works alongside Malinda's brother, Sam, handcrafting the finest Amish furniture in St. Mary's County. He can't recall when Sam's little schweschder blossomed into a beautiful young woman--but he would do anything to hold Malinda close and soothe the sad yearning in her eyes. Sensing her unease at the mention of her doctor only confirms his desire to protect her. Healing, however, is in Gott's hands, and a hard lesson in the true meaning of love may soon bless them both in ways they never imagined. 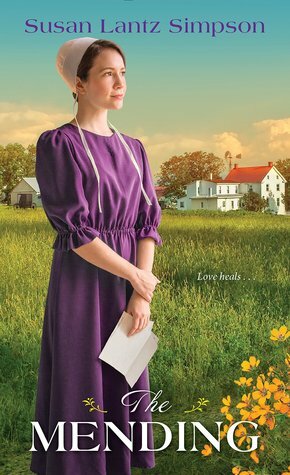 The author has given us a story that affects so many people, and many have the same decisions, but this one has a twist the patient is Amish, and she has the same wants and desires that most young Amish woman have, to be a wife and mother. Add a young man who has secretly cared for her for most of his life, and you will think a quick romance, nope, we wonder right to the end if these two can overcome the obstacles to ever being together. I loved that we are reunited and updated with some the characters from the first book in this series, The Promise, and yes this one can be read alone, and yet there is another one to come, and I personally cannot wait! I did find this story a bit scary at times, and wondered what was going to happen, some people just won’t take “no” for an answer. When Jessica Beachy temporarily moves into the home of her late great uncle, Sam Beachy, she merely plans to remodel, sell, and head back to the city. She's used to busy St. Louis and can't imagine how she'll spend her time in the quiet Amish countryside. But the carpenter she hires, Eli Miller, doesn't think selling Sam's home is a good idea. And while he's steadfast in his Amish faith, he's instantly drawn to Jessica's vivacity and unexpected caring--especially as peaceful country ways make her question the dream she thought she wanted . . But a lucrative offer to turn the house into a vacation retreat confronts Jessica with a heartbreaking choice. It will take trust, perseverance--and discovering a hope chest thought forever lost--for Jessica and Eli to boldly face obstacles and embark on a joyous future together. This is the fourth book in this series, but this one can be read alone, and while Sam is no longer with us, and the young girls have grown up and have families of their own, his legacy lives on. 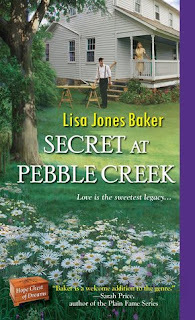 We meet part of Sam’s family that left the Amish and has come, oh no, to sell Pebble Creek. What starts out as a done deal, well now you will need to read this heartwarming story to find out the rest. Will the beautiful gift Sam made his wife be found? What will become of the now modern Amish home? A sweet a delightful quick read, with a little romance thrown in, and welcome to a less stressful life. The blip that was offered about this book sounded very interesting, and I decided to read it, and boy be ready for quite the ride. Hard to imagine yourself in Simon’s shoes, bang, bang pounding on a door and walking but feeling still asleep, that is how we begin. As the story unfolds you will be shaking your head, and wondering just what is going on? At first, I felt a bit lost, and if I did, just imagine Simon, but as I pushed though things became clearer and clearer, but wow! The drug is to take care of problems sounds like a wonderful idea, but? Loved the way the author’s mind works here, a bit deep, makes more and more sense as the facts unfold, and my take away is Greed! A don’t miss story that feels so real, could really happen? Could be! I have always loved to write. As a teen, I wrote my first novel, only to be politely rejected by my publisher of choice. Life got in the way – university, marriage and children became the priority. Then once I had time to start reading again, the writing bug bit once more. I enjoy writing both contemporary and historical Inspirational romances. “Romance sprinkled with faith” describes my writing style. I love themes of forgiveness and redemption! 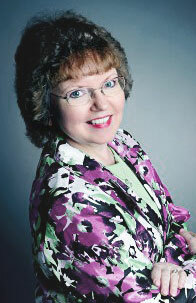 I am a member of the American Christian Fiction Writers (ACFW) and the Romance Writers of America. My association with such amazing groups of people has been the biggest asset toward learning my craft. Home for me is Brampton, Ontario, Canada (near Toronto), where I live with my husband, our two children and two cats. My day job is a part-time secretary at a local church. In my spare time, I like to read and research our family history online. As I read this book the title became more and more obvious of the, little white lies, or big ones, I could understand the author putting Grace in the position of wanting to fulfill her sister’s wishes and also wanting to be in life of this young child. I found myself quickly page turning as we become involved in these characters lives, some you will quickly come to love and others, the old saying “if you can’t say something nice, don’t say nothing at all”, sure comes to mind. It has been one hundred years since WWI and the horrible Spanish Flu, and it is quickly fading from memories, I love that there are stories that help keep alive what this past generation went through and thank the author for bringing it to the forefront. I am looking forward to the next book in this series, and hope to catch up on the lives of those we have already met. My eleven-year-old has been enjoying these books since they came out, yes, he is above the age, but enjoyment has no age. I think having the dog in the story is one of the things he really loves, as he tells me about Hank and what he is doing in the story. For me I love the idea of my child reading bible stories, but written so he can enjoy the story all the while learning. 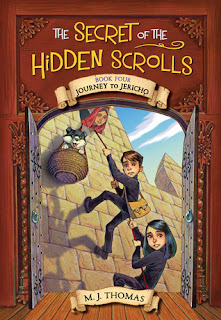 We have the dog, but also a young brother and sister, and while visiting their great uncle they have the wondrous adventures traveling back in time, all the while trying to solve the mystery of the scroll that they have in their possession, and I could hear mine trying to solve the puzzle ahead of time! I received this book through the Publisher Worthy/Kids Ideals, and was not required to give a positive review. 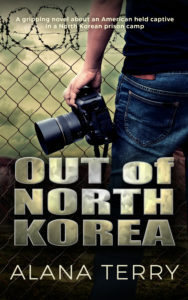 Write Now Literary is pleased to be coordinating a blog tour for Edward King. This tour will run August 23. Book your own tour here. that he will always love us, and his guidance, we'll never lose. for he loves us so much, he totally cleansed everyone's shame. The author made this story feel so real, I felt like I was picking up rocks from the river bed, and a story that could be on the news tonight. 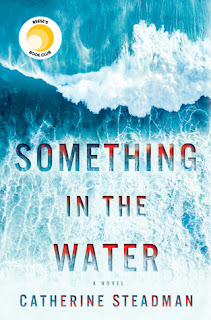 This book has a lot going on, and the way Ian ends up there is totally believable, but so many surprises here, and before I knew it I was at the end of the book. The power of prayer, yes, we experience this first hand, and then there are surprises. Wow! With my heart in my throat, I soon was wondering if he was going to survive, and you will need to read to the end to find out. 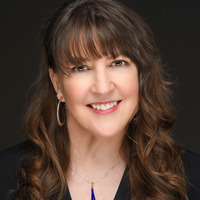 New York Times best-selling author releases her first southern novel, a Steel Magnolias-meets-Sweet Home Alabama story set on St. Simons Island. Cindy Woodsmall is a New York Times and CBA best-selling author who has written nineteen (and counting!) works of fiction and one of nonfiction. She and her dearest Old Order Amish friend, Miriam Flaud, coauthored the nonfiction, Plain Wisdom: An Invitation into an Amish Home and the Hearts of Two Women. 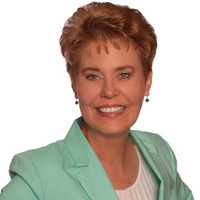 Cindy's been featured on ABC Nightline and the front page of the Wall Street Journal, and has worked with National Geographic on a documentary concerning Amish life. 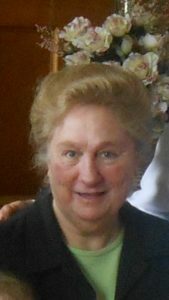 In June of 2013, the Wall Street Journal listed Cindy as one of the top three Amish fiction writers. 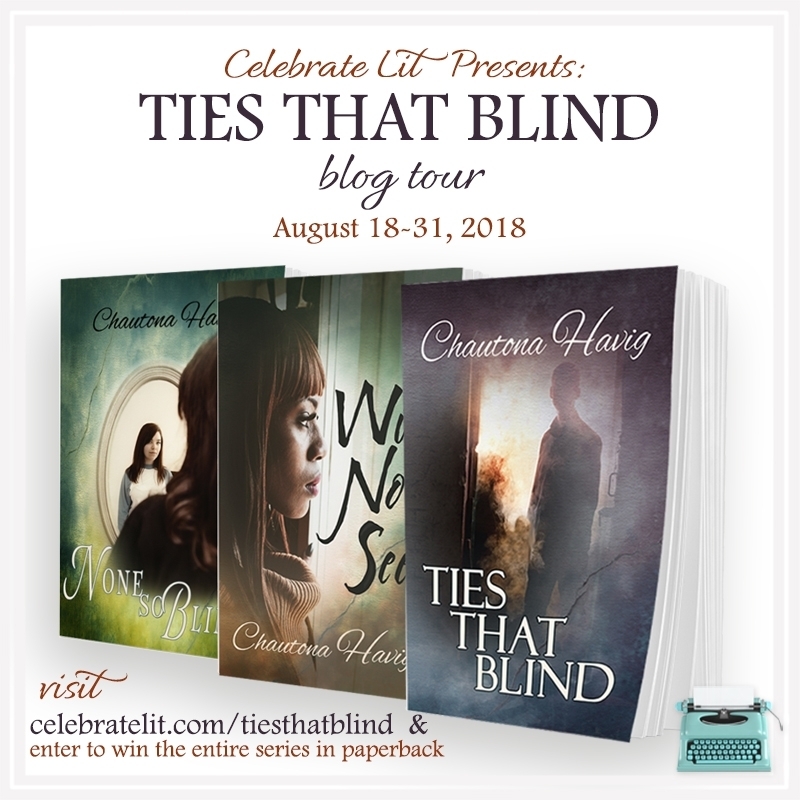 She’s won Fiction Book of the Year, Reviewer’s Choice Awards, Inspirational Reader’s Choice Contest, as well as one of Crossings' Best Books of the Year. She’s been a finalist for the prestigious Christy, Rita, and Carol Awards, Christian Book of the Year, and Christian Retailers Choice Awards. Erin Woodsmall is a writer, musician, wife, and mom of three. 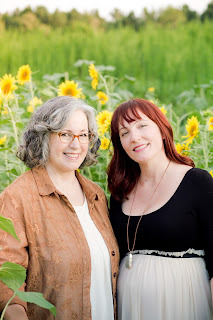 She has edited, brainstormed, and researched books with Cindy for almost a decade. The author has given us a story of hope and survival, but with my heart in my throat, this is a story of life and faith in God. There is so much heart ache here, and yet I found I didn’t want to put the book down, it kept drawing me in. I found my emotions at a fever pitch, and wanting to be able to change the past. In the end, you will find yourself holding your love one’s closer. 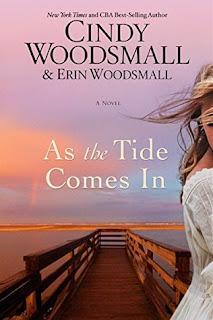 Is it a coincidence that Tara ends up on St. Simon’s Island, and I loved the way the author’s mind worked to bring her here? This book will be lingering with you long after that final page is turned, and I loved how the book concluded. 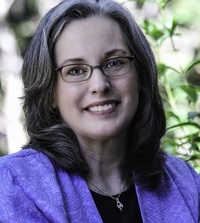 Rea Frey is the author of four nonfiction books. Her debut novel, NOT HER DAUGHTER, will be released by St. Martin’s Press August 21, 2018. 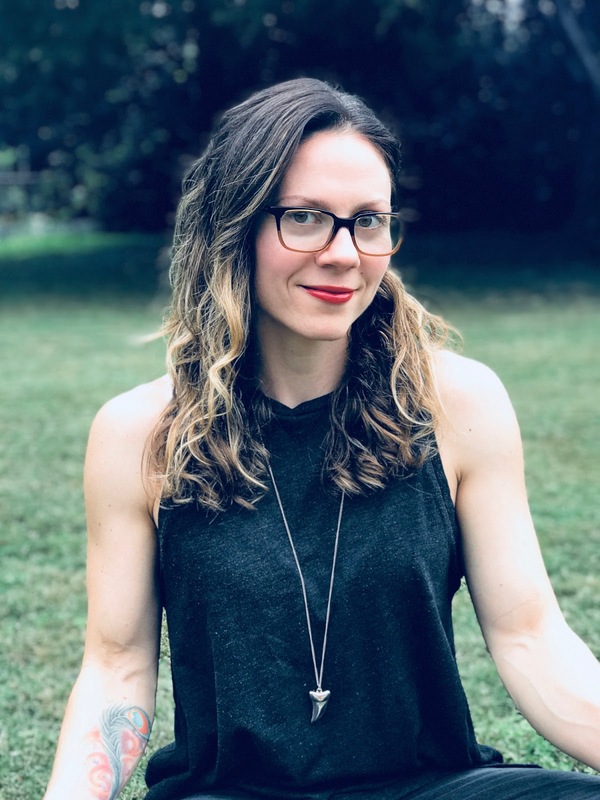 When she’s not exercising, mothering, adulting, wifing, eating, or writing about herself in the third person, you can find her hard at work on her next book and ghostwriting for other people. Wow! What a read, and found myself rooting for the person committing a crime, and yet you will feel some compassion for the parents, what a mess. All the while we are with Emma and Sarah, child and kidnapper, you feel the joy and happiness, but what is going to happen her, you keep waiting for an arrest and the taking of the child back to her homelife. 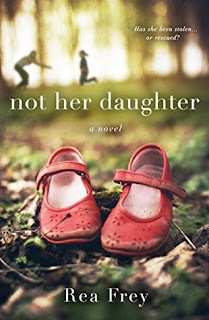 The story felt so real, and what an ending, I never saw it coming, a really emotional read, and you will be asking yourself, just how far as a stranger would you go to protect a child? His Amish bride arrives...but he never proposed! Surprises await in Colorado Amish CourtshipsWidower Jakob Fisher isn't interested in remarrying, even to pretty Abigail Miller. But thanks to his daed's meddling, Abby's sitting in his Colorado farmhouse, expecting to be wed. While Jakob can't offer marriage, he can give Abby a job caring for his young children. But when he starts to fall for her, could Abby make Jakob's familye happy and whole once again? 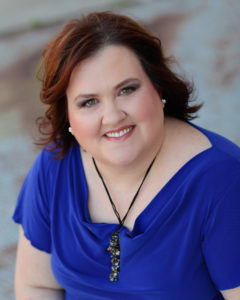 Leigh Bale is Publisher's Weekly best selling author. 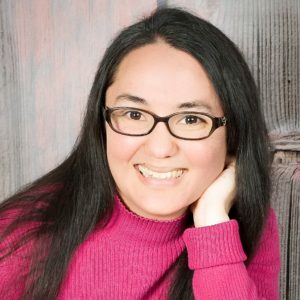 She won the prestigious RWA Golden Heart in 2006 and was a finalist for the Gayle Wilson Award of Excellence, the Write Touch Reader's Award and the Bookseller's Best Award. She is the daughter of a retired U.S. forest ranger, holds a B.A. in History with honors and loves spending time with family, weeding the garden with her dog Sophie, and watching the little sagebrush lizards that live in her rock flowerbeds. You can reach Leigh at www.LeighBale.com. 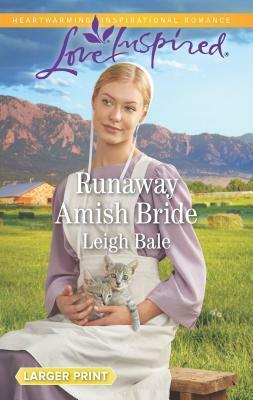 Runaway Amish bride, well kind of, but not quite, especially as you quickly turn the pages, and not all is as it appears. The author touches on some tough subjects here, and we meet them head on with putting faces to how people deal with grief, especially children. One little boy was naughty, but you will chuckle on how this young fellow deals with what he perceives as a threat to his deceased mom. Poor Abby! We also put a face to abuse, both physical and mental, and how to deal with someone that has had that happened to them, all the while wondering how such evil could exist in supposedly Godly people? Will warn you that once you turn the first page you will not be able to put the book down, it is a real compelling read. After over twenty years of abuses from the cult-like church she grew up in, Lane Argosy has had it with God and His people. Though the Brethren try to make Lane and her family’s lives unbearable, freedom from their warped brand of Christianity is sweet. She’ll never go back… never. He just wanted to visit the country he’d explored through books. So, when Matt Rushby arrives in Argosy Junction, Montana, he expects idyllic meadows and craggy rocks towering above, old-fashioned friendliness and at least one or two cowboys. Instead, he finds familiar hatred and factions very much like the ones back home in Rockland’s inner-city gangs. 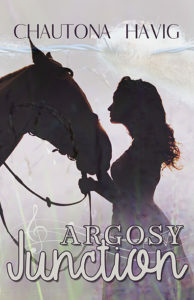 The Argosy family is disillusioned, broken, and floundering. Matt knows the answer is Jesus—just Him and not the trappings of a faith He never designed. But how can Matt help them turn their hearts back to the Lord when he suspects Lane has stolen his? What Do You Do When the Church Becomes Toxic? You know how TV shows and movies like to make fun of bridezillas? Yeah. I know. It can be funny. So many friendships have been ruined by a bride gone wild—so focused on details that she forgets the people she hopes will celebrate it with her. She forgets her groom. Unreasonable expectations of the day and of people lead to broken relationships and an ugly taint to what should be a beautiful occasion. So, why don’t we have the same grace for the “bridezillas” of the church? When that deacon decides to become judge and jury of people’s spiritual state based upon what he thinks or knows someone has contributed to the church, why do we write off him and the rest of the congregation (or all congregations out there)? When the church gossip shares private information… or even false information, why do we lash out with thinly-veiled, passive-aggressive rants on Facebook about brutes in the church before flouncing off in a spiritually-superior rejection of that “religious nightmare, otherwise known as the church?” (Yes, I’ve heard it called that). When we’re blackballed by people who used to call us family, why do we reject all parts of the bride? Why do we cut off an arm, a leg, a hand, and whack away from the body known as Jesus’ bride until only a piece of an eyelash is left—us? I get it. The bride of Christ gets ugly—like many bridezillas do. But do we love our Groom? Do we trust that He will stay faithful to us even when parts of our body fails us? When we get old, frail, and forgetful, will He remember us? Will He stay faithful and true when we wander to other loves? Can we trust that? If Jesus can die for that person in the pew across the way, if He can forgive their sins, if He can forgive your sins, can’t you forgive His beloved? Look, I get it. Sometimes part of the body of Christ becomes ill—gangrenous. Toxic. When that happens, you need to remove yourself before you become ill, too. I get that. But that local body is just a tiny finger or toe of the whole body. We need to do what we can to help the rest of the body stay healthy while we pray and do what we can to help the sick part. And I’m not condoning sin. Please understand that. This isn’t about me saying, “It doesn’t matter if the church sins against us. It does. It’s why Jesus gave us a way to deal with that. You’ll be disappointed. I won’t do it. So, What Do You Do When the Church Becomes Toxic? I can answer the question in a word. And really, that’s all Matt does in this book. Loves. Okay, and maybe a little prayerful ranting as well. It’s what Jesus did when His creation—you and me—when we became toxic. He loved. 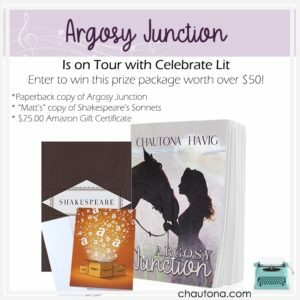 To celebrate her tour, Chautona is giving away a grand prize package that includes a paperback copy of Argosy Junction, “Matt’s” copy of Shakespeare’s Sonnets, and a $25 gift certificate!! The author has given us a story with a sweet romance, but we also are shown how one cult was formed, and what it did to the faith these people once had. There are some good chuckles, and loved the beginning of this read, but it did take a bit to get to the conclusion. You can picture a man terrified of sheep, and read to them, funny! The story does have good bones, but I was glad when I found the answers. We move from rural, or ranch living to inner city and see the vast difference, but mostly we see what a cult does to friends and family, so sad.